Someone around home mentioned this morning that there was a confused article on the Herald website about the progressivity (or otherwise) of the fuel tax increase. I didn’t pay much attention until I read the paper over lunch, when I was a bit staggered by what I found. The line of argument from opponents has been that the fuel tax increase will fall more heavily on low-income people. But according to the Herald’s journalist, channelling Phil Twyford. in a startling revelation, the ministers claim that the wealthier a household is, the more it is likely to pay for petrol. They say the wealthiest 10 per cent of households will pay $7.71 per week more for petrol. Those with the lowest incomes will pay $3.64 a week more. I still don’t understand what the journalist finds startling. It is hardly surprising that higher income households spend more on petrol than lower-income households do. They spend more on most things. The suggestion that these data are some sort of “complete reversal” of the claim the tax is regressive is itself just nonsense. One would need to look at the impact of the fuel tax increase as a proportion of income. And households in the top decile earn about ten times as much as households in the bottom decline, according to the same Household Expenditure Survey. 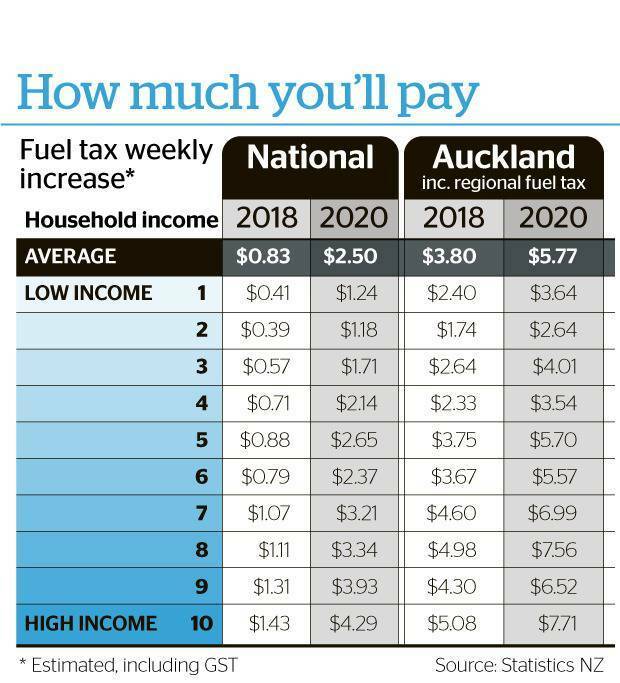 On the numbers the Herald themselves used, apparently supplied by the Ministry of Transport, the direct burden of the fuel tax increase will fall much more heavily on low-income people than on those further up the income scale. The extremely high number for the lowest decile masks how significant these effects are even for other groups: the second and third deciles of household income will see an increase twice as large, as a percentage of income, as those in the 9th decile. I’m driving to Auckland later this afternoon for a wedding, and planning to get out again on Sunday without having paid the increased Auckland fuel levy. It was an extraordinarily poor piece of reporting. My plan to reduce the impact of the fuel tax on my income is to use my bicycle more often.